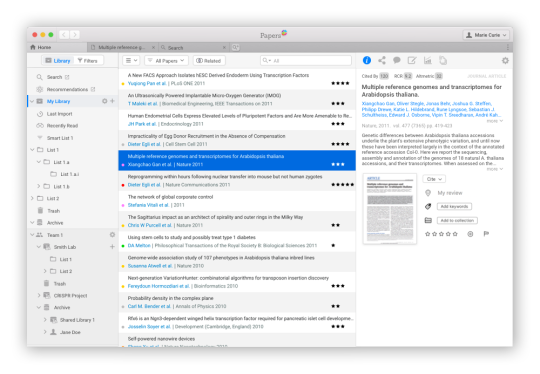 From the outset both Papers and ReadCube were created to solve the problems researchers face every day, and have helped millions of researchers organize, read, cite and discover research material from the rapidly expanding universe of electronic papers and articles available to them. In March of 2016, ReadCube and Papers officially teamed up – but before jumping into changing things or rushing to make any decisions – we listened, did a lot of measuring, and thinking before putting pen to paper. We had two very passionate user bases who loved their respective apps. Combining the two together was a tall order! As we are approaching the final stretch, with all the various pieces coming together and early beta rolling out in the next 4-6 weeks, we wanted to give you a sneak peek on what’s in the pipeline for the new app and to answer some frequently asked questions. To gzve us plenty of time to gather feedback from beta users and make any necessary adjustments, the official launch is expected by end of year. We will be able to firm that date up more once the beta roll out has started. We really appreciate your patience – and especially thank the over 1200 community members who have volunteered to be beta testers. If you are interested in joining their ranks, please sign up here. If you have any questions – please let us know! Please note that for the screenshots in particular, these aren’t etched in stone and we still have some polishing to do. Cross-platform support (Web, Desktop (Mac/PC), Mobile (iOS/Android). 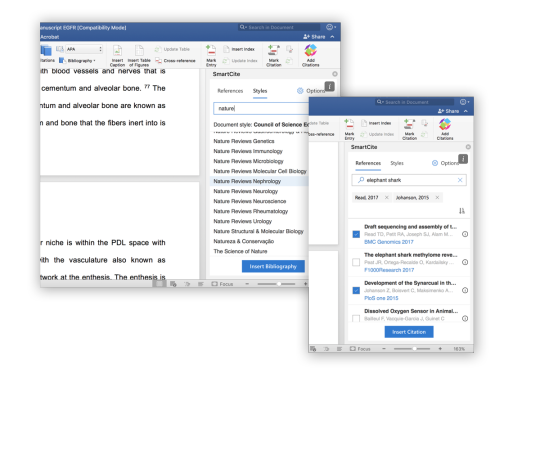 In addition to individual library support – we will also be offering an optional Teams module that will enable teams using ReadCube Papers to set up private collaboration spaces where teams can share references, PDFs, share annotations, and more! A: The new app will be a subscription – which means you’ll always be on the latest version and get new features and improvements automatically. Subscribers also receive unlimited personal article storage in cloud. Existing ReadCube subscriber accounts will be automatically upgraded. Existing Papers users will receive special upgrade pricing. If you purchased Papers in the past year, you will receive an extended trial period before being prompted to upgrade. 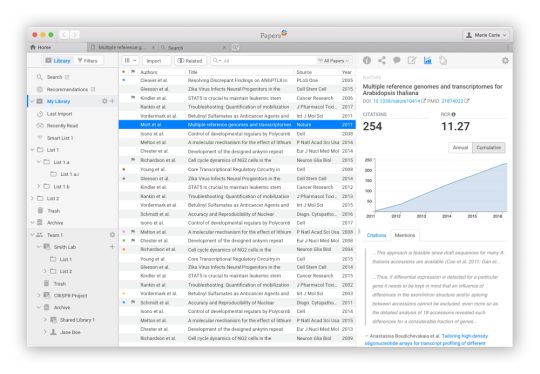 Q: Will Papers3 continue to be supported? A: While there will be no further feature updates once the new app is released this Fall, we will continue to support existing Papers3 users like we have Papers2 for critical bugs/updates. This is no different that what was done historically with Papers 1 and 2. A: Of course! 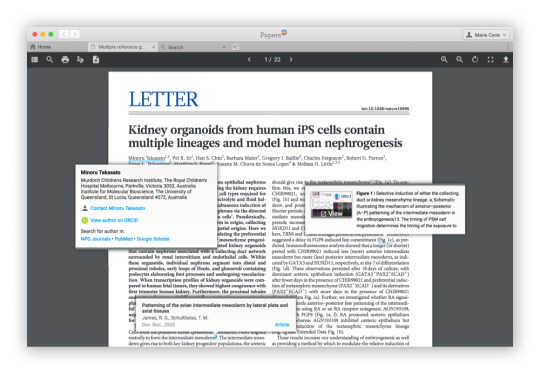 The new ReadCube Papers app will automatically upgrade both ReadCube and Papers3 user libraries, including all your annotations, collections, lists, etc. 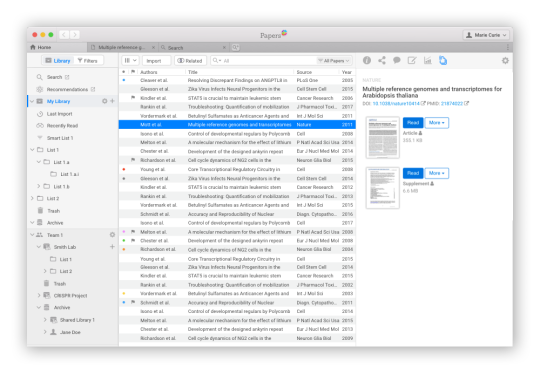 A: One of our primary design goals for the next ReadCube papers app was to be as fast as possible. Dropbox is a fantastic service for generic file storage, but it was not specifically designed with research libraries in mind. In order to achieve our performance and scalability goals, we developed a new cloud infrastructure to meet our requirements: efficient syncing of library metadata and files across multiple apps (Desktop + Mobile) as well as web services to support the new Web Library. 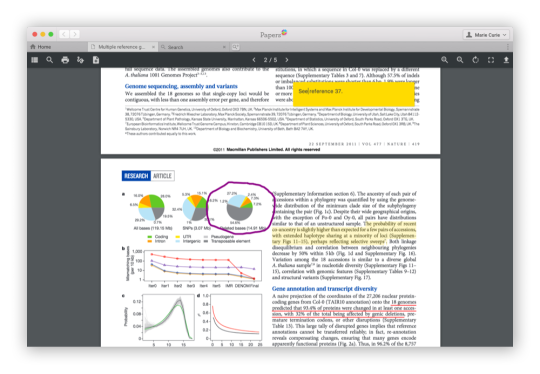 We’re pleased to report the new ReadCube Papers Web app will offer nearly all of the features of the Desktop and Mobile apps (including fast search), so you can access your research from any computer. Q: I volunteered to be a beta tester and have not gotten access yet. A: First off, we really appreciate your willingness to participate in the beta program. You haven’t missed anything – we have not released the beta version quite yet. Be assured, you will be the first to know. We will be sending emails out to volunteers in the coming weeks which will provide additional and details on how you can share your feedback on the new app. A: As always, if there is anything you need or question on your mind, drop us a line to our support team ([email protected]). We’ll get back to you right away.